College’s Sheet Metal and Plastics Technology program continue an annual tradition of crafting a one-of-a-kind Valentines gift that is guaranteed not to fade. The copper roses, popularly known as “forever roses,” are hand-crafted by sheet metal students every year and are sold around Valentine’s Day to help raise funds to support the program. Flower petals and leaves start as flat sheets of copper, which are cut and carefully molded into shape. Students then assemble the individual pieces before hand-crimping each petal to give it a lifelike texture. 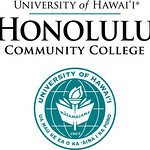 Honolulu CC’s Sheet Metal and Plastics program is designed to qualify students for entry into the sheet metal workforce. Through hands-on experience, students develop skills in fabrication, architectural metal work, pattern development and more. Smaller projects such as crafting of the forever roses gives students the opportunity to tap into their creative side and think about the possibilities of working with metal. The copper forever roses will be available for purchase in the Honolulu CC sheet metal shop (Building 17) on Tuesday, February 14 from 9:30 a.m. until supplies last. These one-of-a-kind roses make special Valentine’s Day, Mother’s Day and Memorial Day gifts for only $15 each or four for $50. Customers are limited to four roses.